Donald F. Steiner (M.S. ’56, M.D. ’56), a world-renowned scientist who made important discoveries in diabetes research, died on November 11 at the age of 84. Steiner earned a master’s degree in biochemistry and a medical degree from the University in 1956. He joined the faculty in 1960 and eventually became the A.N. Pritzker Distinguished Service Professor Emeritus in Medicine and Biochemistry and Molecular Biology. He was captivated by insulin and devoted his life to studying how it works. Steiner’s discovery of proinsulin led to biosynthetic human insulin production, which has helped manage diabetes and improve the quality of life of diabetes patients all over the world. Aside from his work, Steiner was known for having a variety of interests, especially in arts and culture. “He was a Renaissance kind of person” and “knowledgeable in a humble way,” Arthur Rubenstein, former dean of the University of Pennsylvania’s Perelman School of Medicine, said of his friend and mentor. He had an apartment full of books on history and the arts, played the piano and the harpsichord, and frequented the Chicago Symphony Orchestra. Louis Philipson, director of the University’s Kovler Diabetes Center and longtime friend of Steiner, added that he was passionate about human rights and “had the ability to interact with people from all walks of life,” Philipson said. 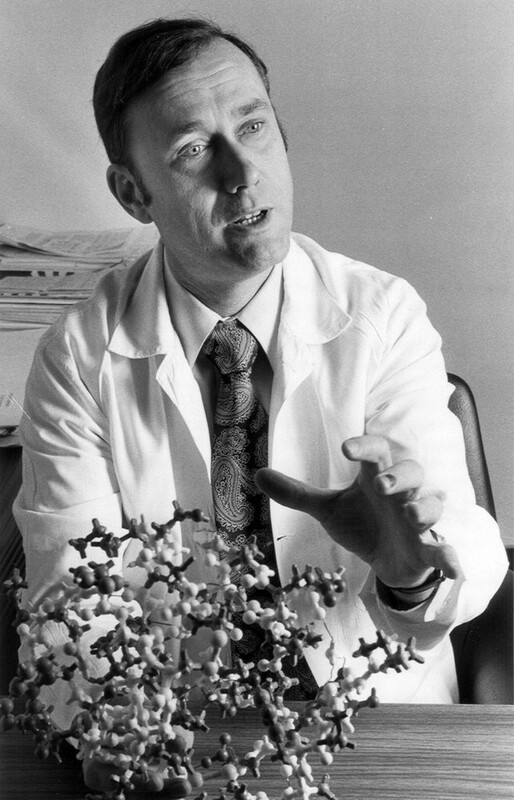 Steiner held leadership positions at the University of Chicago Diabetes Research and Training Center and the Howard Hughes Medical Institute. Philipson called Steiner a major force in making UChicago the mecca for diabetes research. Rubenstein attributed his popularity and influence to his generosity and willingness to share ideas with others. Steiner was internationally recognized for his contributions to diabetes research, winning awards from the American Diabetes Association as well as Israel’s Wolf Prize in Medicine and the Manpei Suzuki International Prize for Diabetes Research, the largest financial award for diabetes research. Despite his global fame, Steiner never strayed from his UChicago roots, according to Rubenstein. “He was offered jobs everywhere, but was never really interested…. He never looked for fame and money; he was content,” he said. Just this year, the University honored him with an alumni medal.